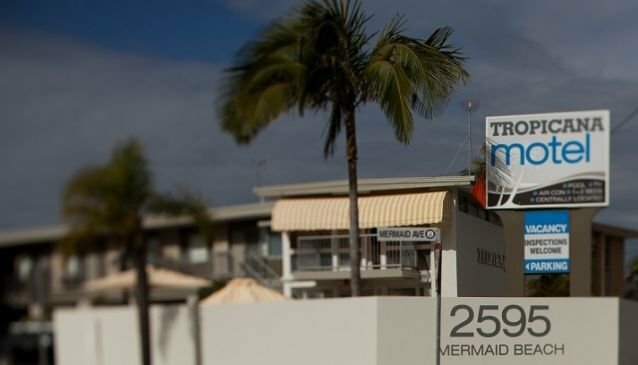 Located on the beach side of Gold Coast Highway, only several minutes away from the popular Surfers Paradise, Tropicana Motel is a very attractive destination that is easy to find. The motel is a two level building which offers comfortable accommodation and because of the different types of rooms it suits the needs of all guests. Here you can find luxury motel type rooms equipped with TV, fridge, microwave, toaster, coffee and tea making facilities. Besides the modern accommodation the motel also offers outdoor swimming pool, BBQ area, laundry and many other facilities which will make your stay very pleasant. The location of Tropicana Motel is excellent because you can easily get to the famous cafes, restaurants and theme parks in a few minutes, the Pacific Fair and Surfers Paradise shop centres are only 5 minutes away.